Arup K. Chakraborty is the Robert T. Haslam Professor of Chemical Engineering, Physics, Chemistry, and Biological Engineering at MIT. He is the founding Director of MIT’s Institute for Medical Engineering and Science. He is also a founding steering committee member of the Ragon Institute of MIT, MGH, and Harvard, and an Associate Member of the Broad Institute of MIT & Harvard. After obtaining his PhD in chemical engineering and postdoctoral studies, he joined the faculty at the University of California at Berkeley in December 1988. He rose through the ranks, and ultimately served as the Warren and Katherine Schlinger Distinguished Professor and Chair of Chemical Engineering, Professor of Chemistry, and Professor of Biophysics at Berkeley. He was also Head of Theoretical and Computational Biology at Lawrence Berkeley National Laboratory. In September 2005, Chakraborty moved to MIT. His entire career has been focused on research at the intersection of disciplines. After an early career in engineering of polymers and catalysts, since 2000, Chakraborty’s work has focused on bringing together immunology and the physical and engineering sciences. His interests span T cell signaling, T cell development and repertoire, and a mechanistic understanding of HIV evolution, antibody evolution, and vaccine design. 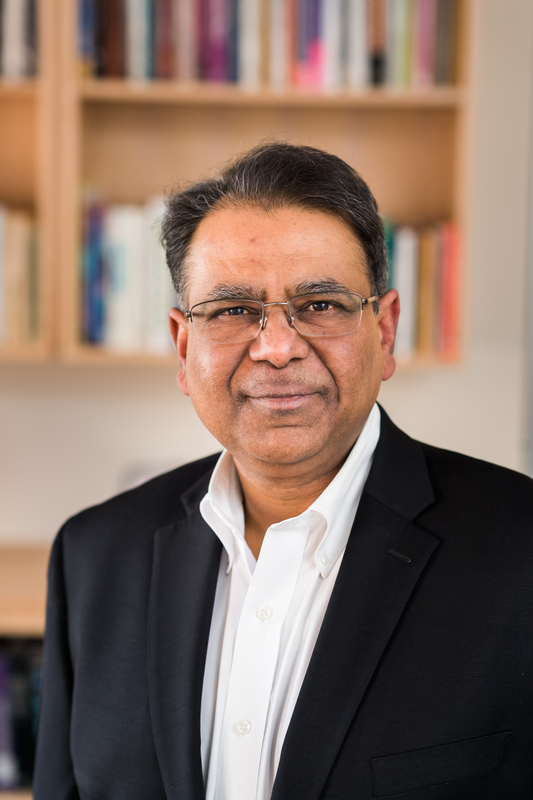 Chakraborty’s work at the intersection of disciplines has been recognized by numerous honors, including the NIH Director’s Pioneer Award, the E.O. Lawrence Medal for Life Sciences from the US DOE, the Allan P. Colburn and Professional Progress awards from the AIChE, a Dreyfus Teacher-Scholar award, and a National Young investigator award. Chakraborty was elected a member of the National Academy of Sciences and the National Academy of Engineering for completely different bodies of work. He is a Fellow of the American Academy of Arts & Sciences and the American Association for the Advancement of Science, and serves on the US Defense Science Board. Chakraborty has received four teaching awards at Berkeley and MIT. No medical procedure has saved more lives than vaccination. But, today, some pathogens have evolved which have defied successful vaccination using the empirical paradigms pioneered by Pasteur and Jenner. I will describe how bringing together theoretical/computational approaches from physics and engineering with basic/clinical immunology is beginning to confront this challenge by developing some of the ingredients necessary for rational design of vaccines that can confront these scourges. One characteristic of many pathogens for which successful vaccines do not exist is that they present themselves in various guises. HIV is an extreme example because of its high mutability, and it continues to wreak havoc around the world, especially in developing countries. I will describe how we developed models to translate data on HIV protein sequences to knowledge of the HIV fitness landscape, and tested the results against in vitro and clinical data. Based on these results, a therapeutic T cell-based vaccine was designed, which is now being advanced to pre-clinical studies in monkeys. I will also describe work pertinent to how broadly neutralizing antibodies, which can neutralize diverse HIV strains, might be induced by vaccination.